Strategies for Seeking Personnel Information About Government Employee Applications or Other Employment Issues under FOIA | Sullivan Collins Law Group, P.L.C. The Freedom of Information Act (FOIA) generally provides that any person has the right to request access to federal agency records or information except to the extent the records are protected from disclosure under certain exemptions or exclusions carved out by law. 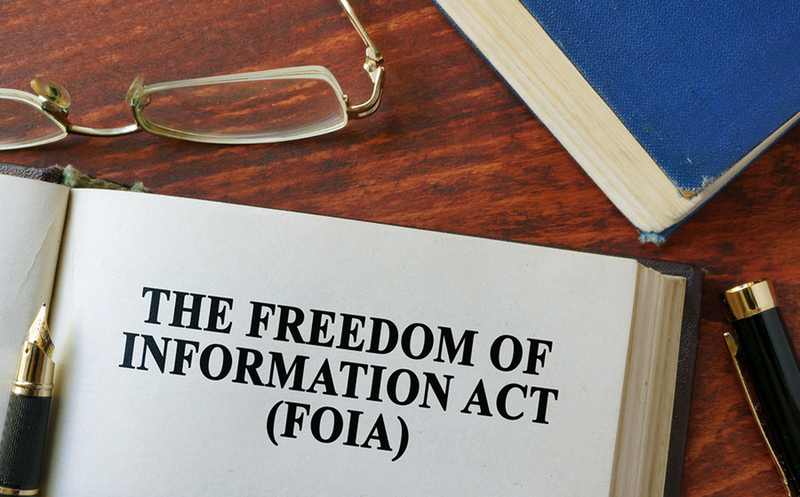 Requests for information under this Act, typically called “FOIA requests,” are often a useful tool in gathering information that is not otherwise publicly available, including information about government employees. In seeking such information, there are two FOIA exemptions to disclosure that might apply. The first is the exemption for personal privacy interests that protects information about individuals in “personnel and medical files and similar files.” To determine whether the exemption should apply, public bodies must consider four factors before releasing information concerning an employee to determine whether the employee’s privacy interest outweighs the interest of public disclosure: (1) the requester’s interest in disclosure, (2) the public interest in disclosure, (3) the degree of invasion of personal privacy, and (4) the availability of alternative means of obtaining the requested information. The exemption will not apply if the requester is only seeking information contained in his or her own personnel records. The second exemption that might apply is the exemption for “inter- and intra-agency pre-decisional and deliberative material.” In the employment context, this exemption was designed to protect the communications process and encourage open and frank discussion among staff before a final personnel decisions are made. Traditionally, the courts have established two fundamental requirements, both of which must be met, for the deliberative process privilege to be invoked. First, the communication must be pre-decisional, i.e., “antecedent to the adoption of an agency policy.” Second, the communication must be deliberative, i.e., “a direct part of the deliberative process in that it makes recommendations or expresses opinions on legal or policy matters.” The burden is upon the agency to show that the information in question satisfies both requirements. It is important to note that deliberative process exemption typically does not justify withholding purely factual information (such as an application for employment or resume). Ultimately, the burden rests with the agency withholding the information sought under a FOIA request to justify that withholding. As the presumption favors public access to promote governmental transparency, FOIA requests are usually successful and can be a valuable tool in obtaining information not available by other means that may be essential to evaluating a claim or determining opportunities for success in later applications.